This just blew my mind. Dude is a legend. 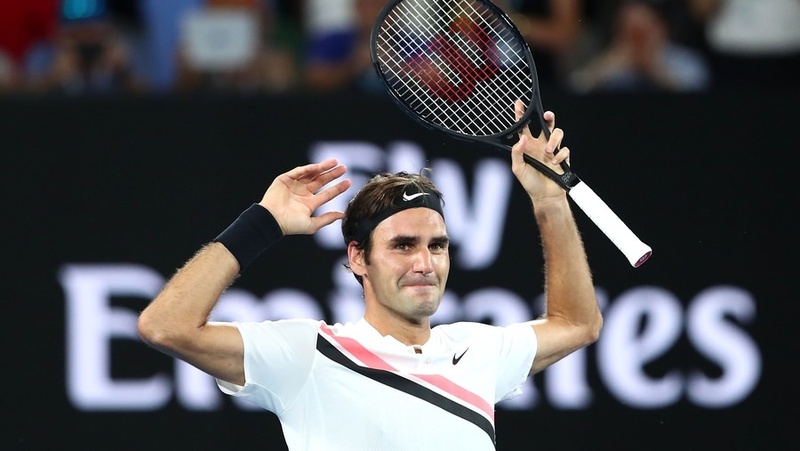 Federer entered his first Grand Slam competition at the Australian Open in 1999, where he lost in the first qualifying round to Olivier DelaÃ®tre. Including that one and since then, there have been 77 Grand Slam events, and Roger has won 20 of them, or 26% of them. Federer won his first Grand Slam at Wimbledon in 2003. Including that one and since then, there have been 59 Grand Slam events, and Roger has won 20 of them, or 33.9%. Of those 59 Grand Slams since Wimbledon 2003, Roger has missed 3 events (French Open last 2 years and 2016 US Open), so for all the events he participated in, Roger is 20/56 since Wimbledon 2003, good for 35.7%. Quote: I'm so happy it's unbelievable. This is a dream come true, the fairy tale continues for me. He understands that he's on borrowed time and winning another grand slam is more than what he could have asked for. Amazing stuff. Infact I would say that everything post Wimbledon 2012 is a bonus because age is catching up on him. His career is a career of accomplishments. Federer's level of outright dominance for so long has skewed what we consider a successful career. i heard he is retiring, is this correct? (01-29-2018, 02:34 PM) xBossmaNx Wrote: i heard he is retiring, is this correct? Nope. People thought he is going to announce retirement when he started crying but it didn't happen. (01-29-2018, 08:42 PM) ridak Wrote: what is open era? Before the 1968 French Open, grand slams were strictly for amateur players. The key definition of the word amateur is that they can never receive any kind of prize money or sponsorship, only compensated for travel and other expenses. Professionals, on the other hand, competed in sponsored tournaments for rankings and money, which meant that amateurs who wanted financial security/rewards for their efforts are often pursued by professional leagues, leaving the grand slams devoid of top players. The Open Era meant that anyone can enter, as long as they make the cut ranking-wise, advanced via qualifying, or invited (received wildcards, most commonly given to players from the country where there tournament is happening and former top players coming back from an absence). Is Roger Federer a sore loser?